Community leverages the look and reputation of James Hardie® products to convey upscale image. The design versatility of the James Hardie product line allows each unit to have its own personality, while giving the entire community a high-end, unified appearance. FIRM: Crescent Development Homes, Inc. In the historic Shenandoah Valley of Virginia, the new community of Myers Corner is under development. Builders Scott Williams and Greg Jurick are crafting a mixed-use, upscale community that will include businesses as well as townhouses, villas and single-family homes. The development is anchored by a nearby regional hospital and intends to provide for the needs of the medical community. Within 10 years, more than 300 units will be completed in Myers Corner. Its villas and single-family homes will feature a Craftsman-inspired look, while the three-story townhouses will have a distinctive, row house design. In the early stages of planning Myers Corner, Williams and Jurick met with a James Hardie sales rep who emphasized the products’ performance superiority over vinyl and wood-based siding and the unrivaled install support Crescent Homes could expect from James Hardie. In this case, perception truly is reality. High-performance James Hardie fiber cement siding and trim are uniquely formulated to resist the damaging effects of heat, humidity and moisture. The products give homeowners the genuine look of wood, with far less upkeep. And ColorPlus Technology factory finishes provide years of color performance, including superior finish adhesion and fade resistance – even under the South’s blistering sun – compared to vinyl siding or wood-based siding painted on site. This single-family home design shows how Williams and Jurick plan to mix James Hardie profiles on each unit to add visual interest and lasting curb appeal. Another huge factor in choosing James Hardie was the product line’s design versatility. For an upscale community, Williams believes in giving each home its own distinct charm. The James Hardie siding collection makes this possible, while providing Myers Corner with an overarching traditional personality and cohesive look. Williams used a mix of profiles on each unit, selecting from a range of products, including HardiePlank® lap siding, HardieShingle® siding and HardiePanel® vertical siding paired with HardieTrim® boards for board-and-batten applications. “We liked the wood grain texture of the James Hardie siding as well as its trim. 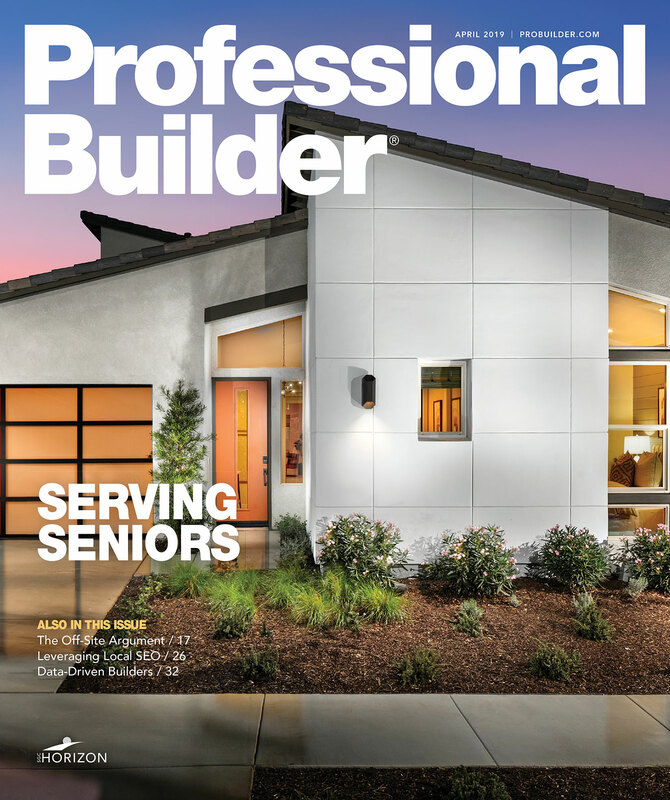 It looked better to us, more natural than vinyl siding’s wood grain,” explains Williams. The developers decided to use the wood grain texture exclusively, hoping to project a warm, welcoming image for the entire community. The variety of ColorPlus finishes allows Williams and Jurick to offer even more diversity for homebuyers, along with the advantage of lower maintenance compared to wood-based siding painted on site. Not only will the units look attractive for years to come, but the lower maintenance will add to the owner’s enjoyment of the home. “The medical community that we’re catering to works long hours,” notes Williams, “they have no interest in spending their free time on upkeep. We envision Myers Corner as a retreat as much as a community."